Private monopolies, when firms combine to try to rig markets through cartels, have been a concern of government economic policies since at least the anti-trust legislation of the late 19th century. But these attempts at cartels have failed again and again not owing to anti-trust laws, but because of human nature. All it takes is for one cartel member to start cheating and the whole scheme falls apart. Competition begins anew. 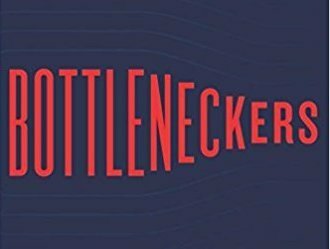 “Bottleneckers” is a fascinating book that looks at the problem of monopoly from a different perspective. What happens when a firm, instead of conspiring with competitors, goes to the government and is awarded a monopoly or some sort of favor, a favor that hurts competitors or would be new competitors into a marketplace. Bad things happen, the authors show. Government bureaucracies confer favors on firms that have influenced or captured government bureaucracies. These government bureaucracies then often perpetuate themselves. They issue endless new rules that prevent or discourage new entrants into the marketplace. The people with the better idea don’t try to sell it to consumers. Government rules make it incredibly expensive or sometimes even illegal to start a new business. The winners, the authors believe, are those old, politically connected businesses that have won the favor of the regulators. The losers are consumers who, like the victims of a perfect sting, don’t understand how they are being scammed. They don’t receive the benefits of competition and often they don’t understand what they are missing: Better products and services at lower prices if the government had only stood out of the way, enforced common law rules preventing fraud and let market outcomes be as unpredictable as which team will the next Super Bowl or World Cup. So what happens when the umpire—the government—in any contest stops being the unbiased judge and begins favoring one team, helping the Bottleneckers triumph? People get worse, more pricey, services. Innovation is stifled. When Bottleneckers are actually aided and abetted, then the government direction of some aspect of the economy replaces the natural forces of competition. The latter is a process that almost always gives the general public the lowest possible prices with the best quality of service. The process of competition is spontaneous and remarkable. Economists from Adam Smith to Carl Menger and F.A. Hayek have explained it. (Hayek once said that if the competitive process had been invented instead of discovered, then the inventor would have been acclaimed as a genius). The process doesn’t happen because some firm or company necessarily wants to provide better service. It usually occurs from a selfish reason—if a firm or a company doesn’t supply it in a competitive order someone else will. Almost all of us tend to be lazy unless the fear of someone besting us motivates us. Most of us do our jobs for various reasons. But not the least of them is because we know that, if we slack off and just go through the motions, there are others who can do our jobs and do them better. Private monopolies—monopolies not provided though government favors and that are successful because they have beaten all competitors for the time being—can be defended. That is even if today there is no effective competitor but there is no legal bar to new competitors entering the marketplace and undercutting it. This potential of new companies is effective in retaining the competitive process. It was a Scottish moral philosopher/economist who understood the effectiveness of competition. Adam Smith believed the competitive process has as much to do with human nature as economics. Almost all of us labor diligently for personal reasons—money, financial independence, glory or survival. Indeed, as an example, if GregoryBresiger.com doesn’t have interesting columns on personal finance and liberty, then the reader will find hundreds, perhaps tens of thousands, of other places where he will find a better blog. And he or she will happily go there. GregoryBresiger.com will end up in the Internet ash heap of history. But the authors of “Bottleneckers” supply us with numerous examples of how this productive competition of forcing economic entities to improve or die is interrupted. That hurts all of us, even if many of us don’t appreciate it. 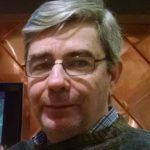 The authors of Bottleneckers again and again document cases of the firms on top of the heap trying to stop new competitors from beating them at their game. Funeral home directors who used state rules to prevent competitors from offering cheaper caskets. Transit unions in New York City that wanted to prevent van owners from offering more efficient services than their wretched buses. Tour owners who called on governments to prevent new entrants from offering better services. The authors brilliantly explain how the bottleneckers are trying to stop the, at times, disturbing march of progress that is capitalism at its best. This is what the great economist Joseph Schumpeter called “creative destruction.” It is often short circuited by the leviathan. (By the way, Schumpeter, a seminal thinker and a polymath, predicted the demise of capitalism in “Capitalism, Socialism and Democracy.” His prediction was based not on capitalism’s failures, as predicted by Marx, but because it would be so successful that people would take it for granted. I think this point is indisputable. Most people in developed countries take for granted the standard of living that would have amazed their grandparents and great grandparents. One of the weakness of much of the histories of the Industrial Revolution is that they fail to take into account what were standards of living before the Industrial Revolution and why people continued to stream into cities for jobs, even though by the standards of today they lived under harsh conditions. These issues are addressed in Hayek’s “Capitalism and the Historians”). So the problem of the Bottleneckers comes from businesses or individuals who—instead of looking to improve themselves—look to government for favors. The authors cite a decision of the Michigan State Supreme Court. “It is quite common in these later days for a certain class of citizens—those engaged in this or that business—to appeal to the government—national, state or municipal—to aid them by legislation against another class of citizen engaged in the same business but in some other way,” the court said. Bottlenecking is also partly the result of the huge modern state that tinkers with the economy in ways undreamed of a century or two ago when the limited government ideas of classical were in fashion. (This power of government run amuck also tinkers with our lives through the social engineering of a Platonic ruling class. However, that is a separate subject that would require a library of columns). Today many firms understand the game has changed. They often spend a lot of time trying to win government favors—trying to get subsidies and all sorts of tax breaks—as trying to build a better mousetrap that is cheaper, more useful and, sobre todo, better than what their competitors are offering. Indeed, I can cite a personal example from my years of working for the New York Post business section. When I pressed the head of Silvercup Studios in Long Island City, Queens on the fairness of these tax breaks for a favored industry his defense was twofold: Without these breaks many jobs would move to Southern states with lower taxes. His second defense was that other industries could do the same. They should also come to Albany and make their case for tax breaks, he said. Should every business people look for his or her piece of geld? Should every business person starting asking for some favor from a regulator. This is a frightening implication of this compelling book. And what happened to the days of the business person who was apolitical? The person who thought his or her job was to produce the best service or product at the least possible price? And where will it end if every business—including the Mom and Pop stores on the corner—all expect to get tax breaks? It is the universal problem of the leviathan in modern welfare state—once the government begins in almost any area, there seems to be no way of limiting its spending and regulating. And the idea of actually reducing or ending government intervention in any sector of the economy once the government has started down the road to serfdom is about as believable as any offhand comment from Donald Trump or Hillary or Bill Clinton. The message of Bottleneckers is the same message as in so many aspects of our society: We need fewer Platonic guardians trying to remake our economy. We need less government. We need a much smaller government that doesn’t try to remake the economy. We need a government that enforces the common law and doesn’t try to favor one business over the other. (By the way, the authors didn’t even begin to deal with the perversion of eminent domain, an area of abuse that can should frighten any American with a property deed). We need a government that will accept the results of any competitive process provided fraud and coercion are absent. We need much fewer bottleneckers.